Perhaps you’ve heard about the game-changing results that are possible in fabric container gardening. Fabric containers consistently deliver yields unattainable in plastic and clay pots. The question is… Why? And the answer is simple: root structure. Plastic and clay pots promote unhealthy, dysfunctional root systems in plants. But thanks to their unique design, fabric pots do exactly the opposite. Through the process of air pruning, fabric pots encourage vigorous, thriving plant root structures that are perfectly suited to boost yields. Let’s take a look at how the process unfolds. Plastic and clay pots stimulate a tangled, knotted root structures that develop mostly around the perimeter of the pot. These tangled roots “choke” one another, inhibiting the flow of nutrients. Another problem is the distribution of the root mass. Because plastic and clay encourage root development at the edge of the pot, the majority of soil volume goes unexploited. Fabric pots solve both of these problems. Thanks to air pruning, fabric pots promote root growth throughout the entire volume of the container. Not only do the roots remain untangled, they get access to nutrients throughout the entire soil mass. There’s nothing mysterious about it. More nutrients mean faster growth, bigger plants and ultimately, bigger yields. For all our differences, plants and people have a lot in common. Namely, we need plenty of food and water. If you’ve ever been dehydrated, you know how dramatically it impacts your performance. So, which plant do you think will stay better hydrated: One with a knotted, overgrown root mass? Or one with a healthy, fibrous root structure? The answer is obvious, but it underscores a basic principle of maximizing yields. If you want bigger harvests, choose a container that promotes a healthy root structure and superior moisture uptake. Plants are notoriously susceptible to insects and disease. If you’ve been gardening long enough, odds are you’ve lost plants or even entire crops to unwanted, opportunistic invaders. The key word here is “opportunistic.” Pests often attack plants only when the conditions are just right. Is your plant sickly or undergrown? A pest invasion might not be far behind. Is your soil oversaturated with water? Get ready for annoying bugs and multitude of plant diseases. 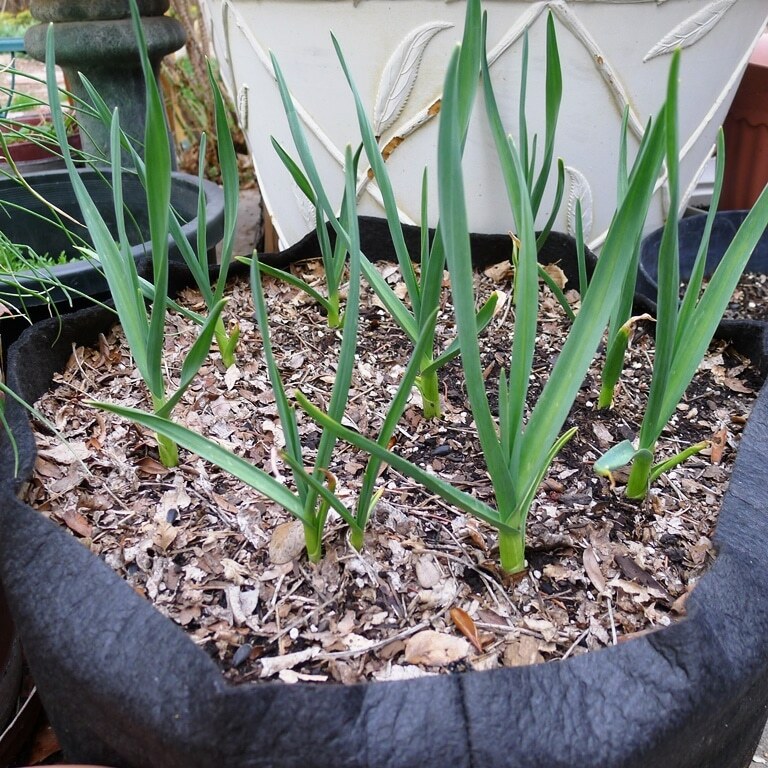 Fabric pots provide a two-fold defense against pests, parasites and blight. By generating healthy plant root growth, fabric pots keep plants strong and promote their natural defenses. Just as importantly, fabric containers prevent soil oversaturation. Their permeable design allows excess water to drain from the bottom of the pot. The result is an environment that’s inhospitable to pests. And if there’s one thing that definitely increases yields, it’s keeping pests away. Of all the things clay and plastic pots are terrible at, root oxygenation ranks right at the top. Roots need a steady supply of fresh air to keep their metabolic processes humming along. In clay and plastic containers, this occurs only along the surface of the soil. Fabric pots, on the other hand, are completely permeable to air. So fresh air flows throughout the soil mass, delivering much-need oxygen to the root structure. By helping your roots achieve maximum metabolic performance, fabric container gardening pushes your yields even higher. We’ve talked a lot about soil-grown plants, but what about hydroponic set-ups? 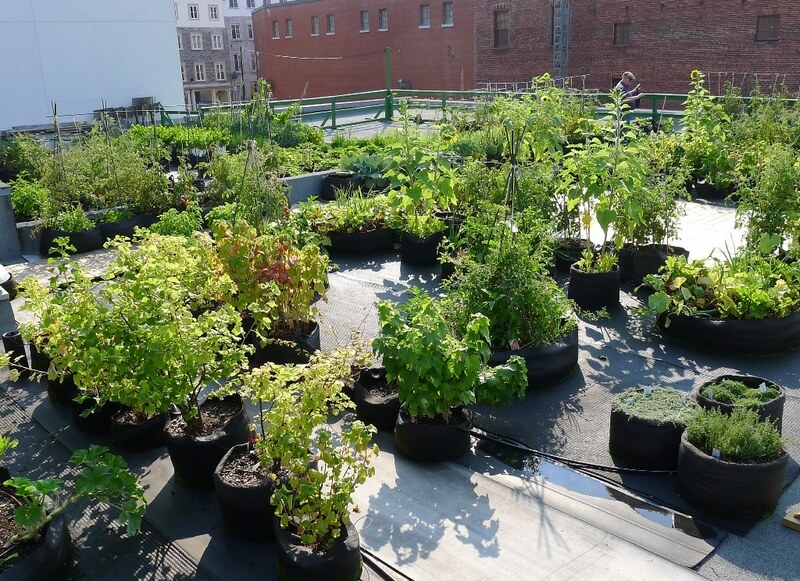 In addition to all of the benefits above, fabric pots have hydro-specific advantages. Because fabric pots are lined with millions of microscopic pores, they allow nutrients to flow freely through the pot. But those tiny pores are too small for growth medium to slip through. 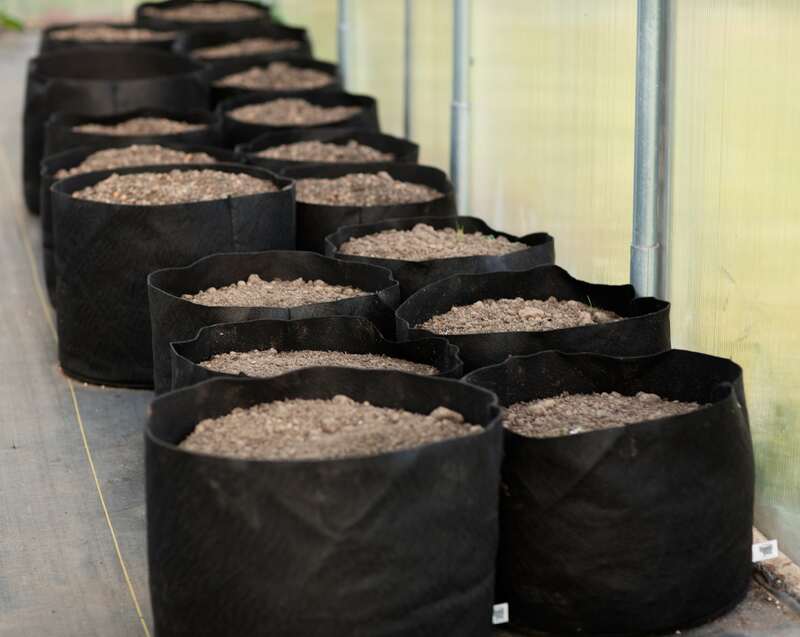 Fabric pots let growers flood their pots without losing any growth medium. This leads to a second major benefit — preventing clogged hoses. By retaining the growth medium inside the container, fabric pots keep hoses unobstructed. Reduced maintenance, free-flowing nutrients, and less downtime. It all adds up to superior hydroponic yields. Whether you’re a home gardener or commercial grower, EVERYONE wants bigger yields. By optimizing vital parameters related to plant growth, metabolism and disease resistance, fabric container gardening can help you maximize yields. If you want your crops to tip the scales (or break them!) fabric pots are definitely worth considering.